Nandhan is the only child of daily-wage farmers Chandraiah and Lakshmi. He was born five years after his parents' marriage. Doctors have informed them that they can never be parents again. 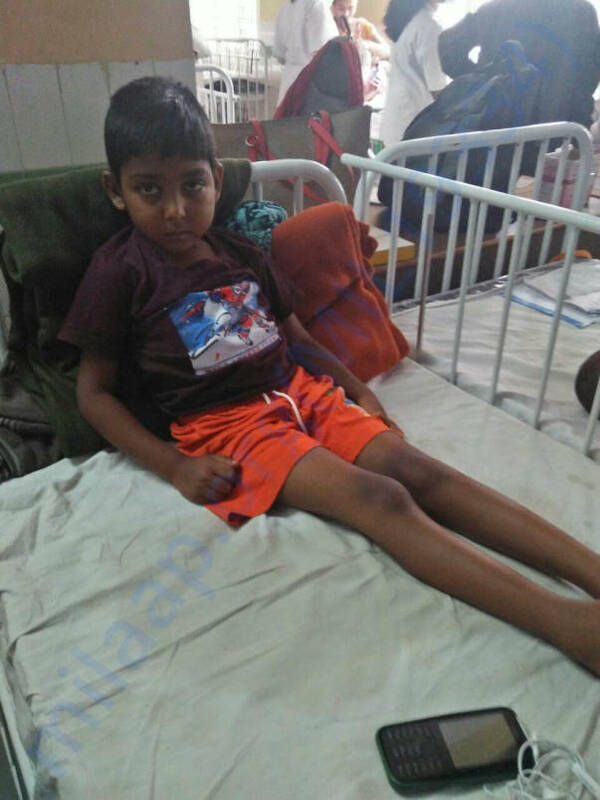 Nandhan has been diagnosed with Wilson's disease that has completely damaged his liver. 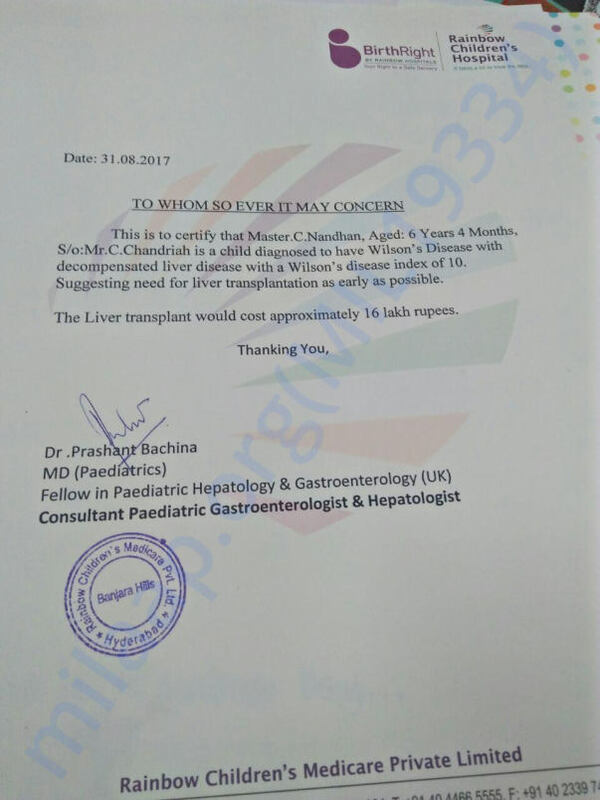 He needs a liver transplant to live. Kondanagula is a village bordering the Nagarjunsagar-SrisailamTiger Reserve – the largest tiger reserve in India. Chandraiah and Lakshmi are farmers in that village. They work on land that is not their's and keep half of what they grow. When the rain is enough and the crop is bountiful, they earn Rs 30,000 for four-months' crop cycle. But when there is no rain, they earn nothing. When Nandhan was born, they felt that their life was complete. Till a month ago, their son was healthy and hale. He hardly ever fell sick and even a bout of common fever was rare. 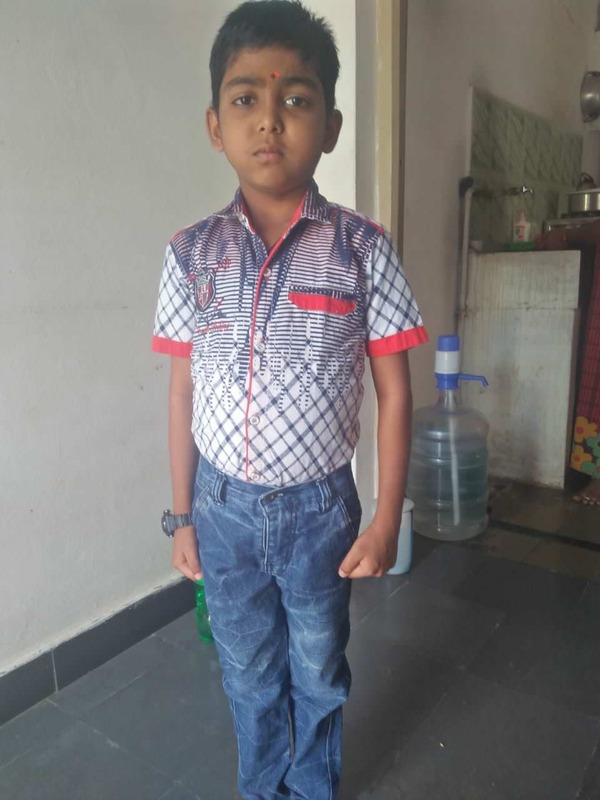 But this August, they learnt that their son had Wilson's disease – a condition that has completely damaged Nandhan's liver. Wilson's disease is a very serious illness where the body is unable to get rid of the copper content in blood. Unless handled with medicines, this excess copper deposits in the soft tissue of the body such as liver, kidneys, eyes and in the later stages brain. Last month, Nandhan developed jaundice and his condition rapidly deteriorated. His parents did not know what to do. 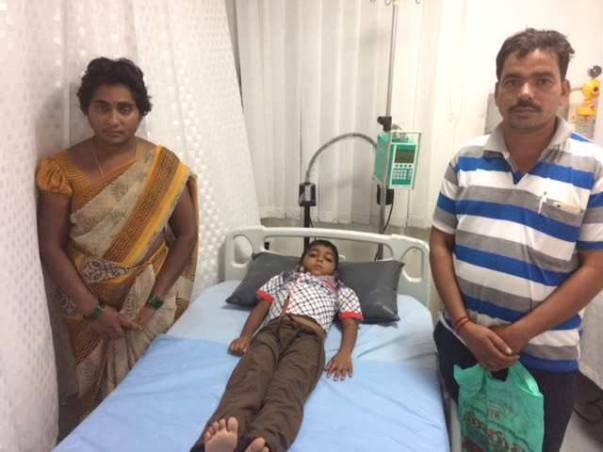 They rushed him to the nearest big hospital, but that proved insufficient to treat Nandhan and they came to Hyderabad for his treatment. “I've done a BA and am the only graduate in my family. 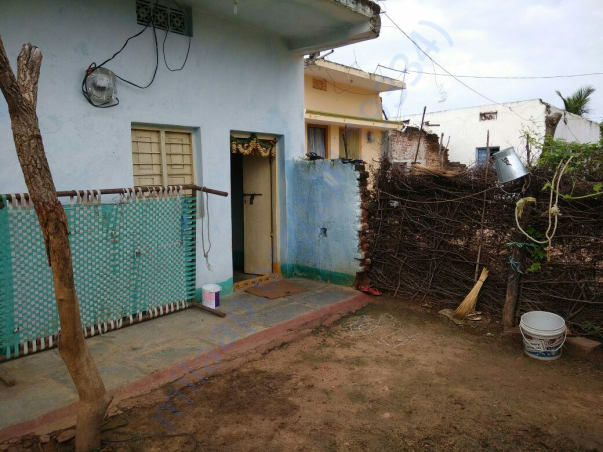 The degree got me no jobs and it was in Telugu medium, but it is the reason my wife felt I should come to Hyderabad while she works the whole day to earn some money,” Chandraiah explains. 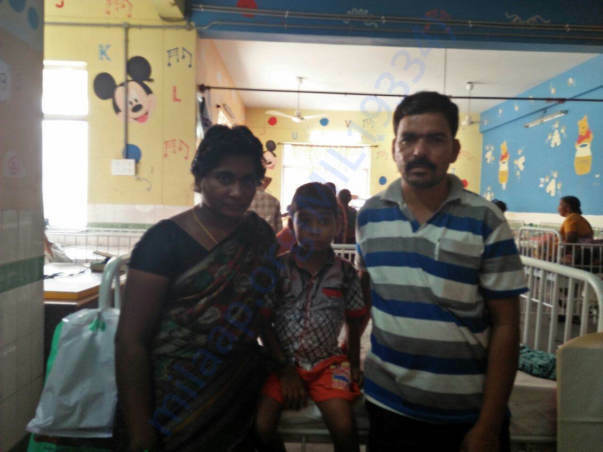 Whenever possible, Lakshmi (far left) visits Nandhan and Chandraiah in the hospital. 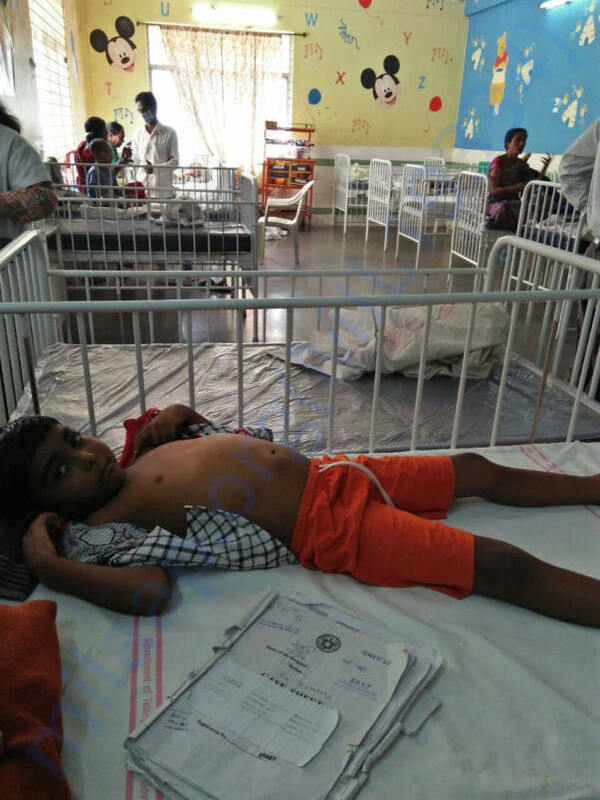 But the degree has not helped him deal with his son's illness any better even in Hyderabad. Nothing has prepared him to deal with the reality that he might lose his son to this sudden, malignant condition. 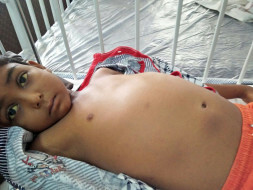 Already, he has spent Rs 50,000 and he needs another 18 lakhs for a liver transplant, the only cure. “He started school two years back. 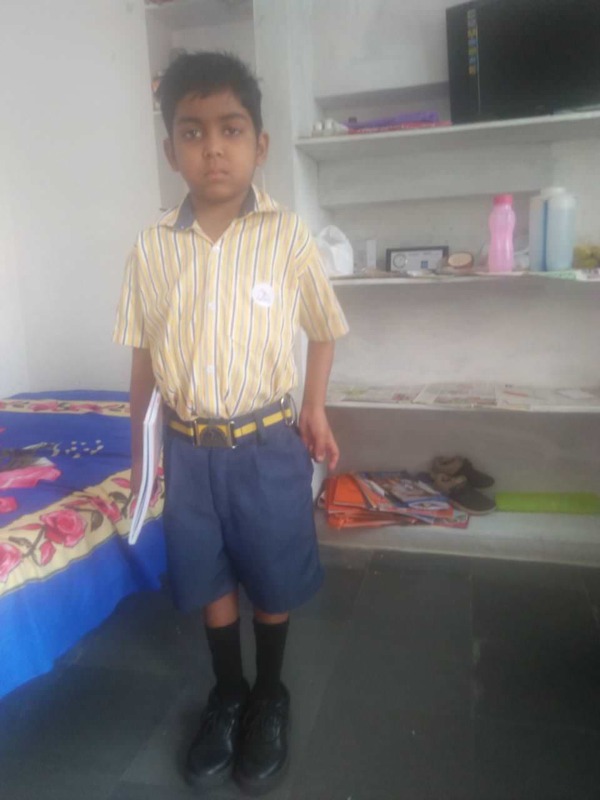 Every day, he travels 8 kms to go to school. 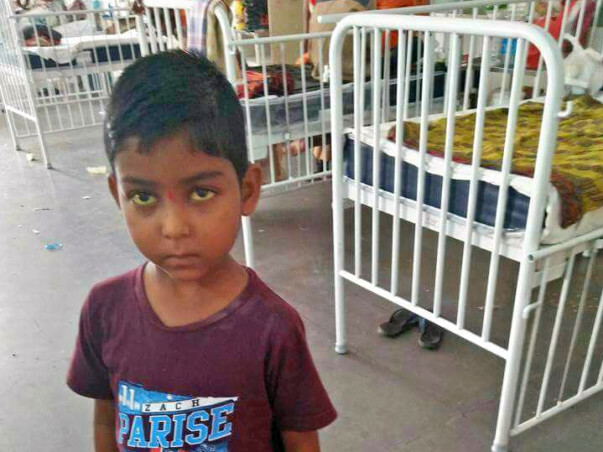 He's a good student and he's teaching me some English now - “What is your name?” and “How are you?” It is very painful to us that our only child suffers so much and we can do nothing,” says Chandraiah. At the moment, Chandraiah is in Hyderabad to make sure Nandhan can see a good doctor whenever he needs. Nandhan's mother has started working as a daily-wage labourer, earning Rs 150 per day to send to them in Hyderabad. She also sells their buffalo's milk to earn another 2,000 every month. This is the family's only income at the moment. Lakshmi's pregnancy was a difficult one when she was carrying Nandhan, and the doctors have told her that she can't have any more children. Nandhan and his achievements are a bright spot in Lakshmi and Chandraiah's otherwise difficult life. Let their poverty not be the reason they lose their much-loved child. Our support will save their only son. 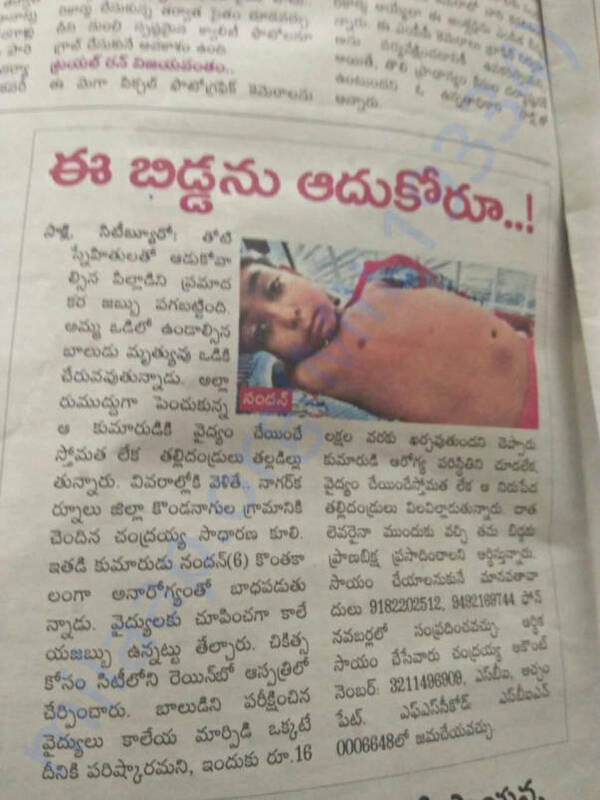 nandhans problem in sakshi news paper(hyderabad district) 08-09-2017. A recent picture of Nandhan. 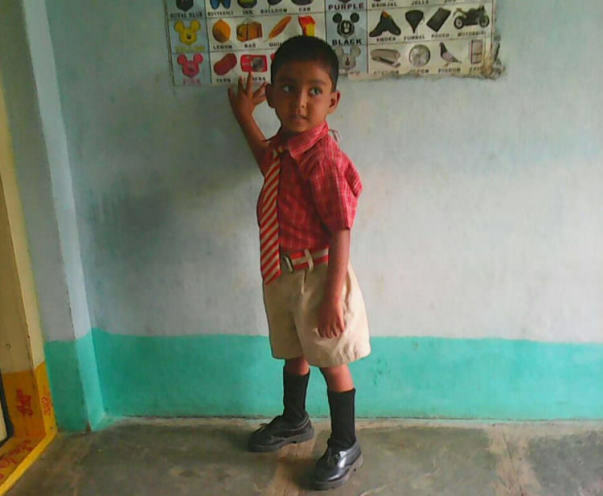 He is doing very well - is on regular follow ups and is going to school as well. Thank you so much for your help, could not have been possible with out you all. Thank you for the wonderful support you have shown towards Nandhan. 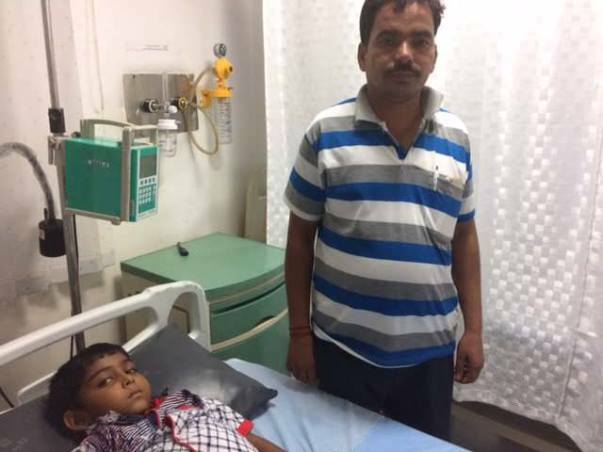 He is re-admitted in the hospital again as he has high fever, his platelet count is low. Doctors are suspecting it to be Dengue, test reports are still due. 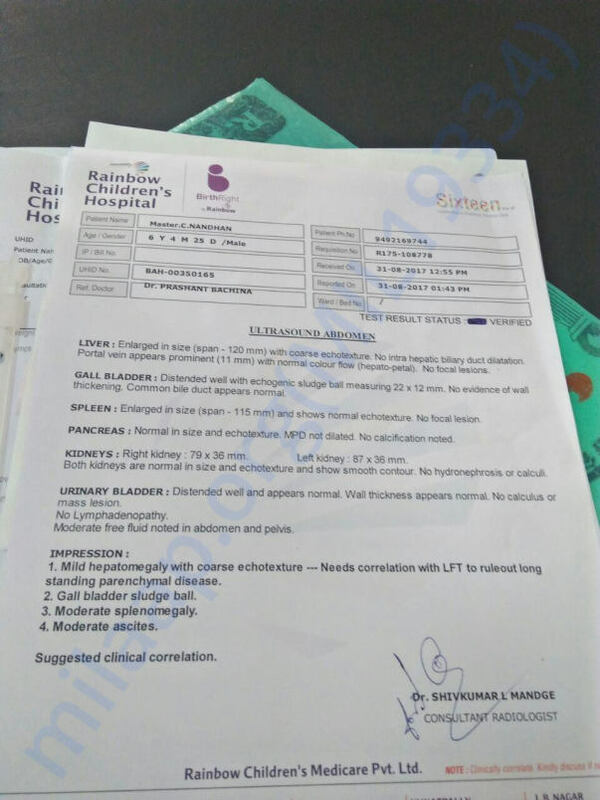 Here is an update on Nandhan. He is going to school now! Here is a picture of him getting ready for school. He is on regular follow ups with the doctor and is doing well. Hope everything goes well, you recover fast and go back to school. My prayers are with you, buddy..